Food Festivals to Look Forward to in 2019! As the weather continues to get colder, we’re daydreaming more and more about the warm weather that spring and summer bring. One of our favorite things to do from April to October is to get outside and eat some delicious (and mostly unhealthy) food!! And if you’re a New Yorker, you know that the best way to satisfy all of your food cravings is at a food festival. Not only do you get to try everything from BBQ to ice cream, food festivals are the best way to find the newest food trend as well as support the local, small businesses that commonly sell their products at these venues. In order to help you start mapping out your 2019 schedule (or maybe just brighten your day with our thoughts of warmer weather, sigh) we’ve compiled a list of some of the best upcoming food festivals for you to keep on your radar. Smorgasburg: One of the largest open-air food markets in NYC, Smorgasburg began in Brooklyn in 2011 as a spin off of Brooklyn Flea. It attracts 20,000-30,000 people each weekend and it’s a must on any foodie’s festival list. Both the Williamsburg and Prospect Park locations re-open in April with their normal Saturday and Sunday schedule, respectively. The World’s Fare: This Queens-based food festival celebrates the diversity of New York’s food industry with over 100 vendors representing 100 different cultures. It’s purpose is to remind us that everyone is equal around the communal table as we celebrate the unity of food. You don’t want to miss this 2-day event on May 18th and 19th. NYC Vegetarian Food Festival: For all those looking to explore a plant-based lifestyle, this 9th annual event is fully vegan with over 100 vendors that focus on plant-based food and products. This festival will run for 2 days on May 18th and 19th with a full line-up of speakers, chefs and entertainers. New York Pizza Festival: Get ready to leave a pizza your heart at this 2-day festival that focuses solely on everyone’s favorite food! This is the second year you’ll be able to taste test pizza from the top pizza makers in the U.S. and Italy while sipping on beer and wine and listening to live music. Mark your calendars now for October 5th and 6th! New York City Wine and Food Festival: Considered the largest food and wine festival in NYC, this weekend-long event runs from October 10th to the 13th. Hosted by the Food Network and Cooking Channel, it has more than 80 events to raise money to support the No Kid Hungry campaign and Food Bank For New York City. New York Beer Fest: We couldn’t leave out our beverages! 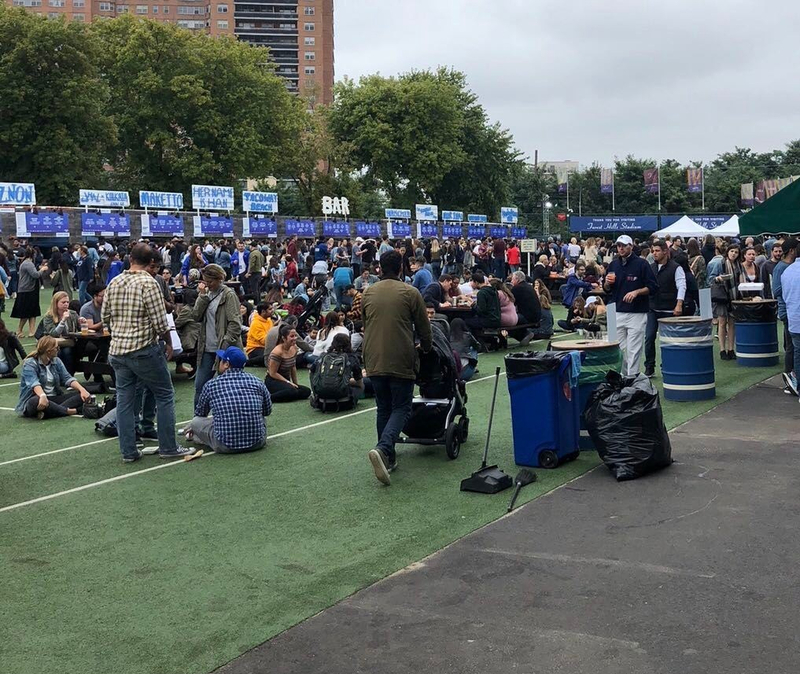 The New York Beer Fest is one day only but runs for two different sessions (12-4PM then 6-10PM) and features over 200 beers from 80 different breweries. This event takes over Citi Field and offers games and entertainment throughout the park. If you’re a beer connoisseur, buy your tickets now for May 4th! Cherry Bombe Jubilee: Although this is more of a food conference than a festival, if you’re a woman in the food industry, this is for you! Cherry Bombe’s Jubilee is a day-long event that combines food and drink with inspiring conversation and meaningful connection. It’s female-focused but open to all genders and it’s all going down on April 7th.